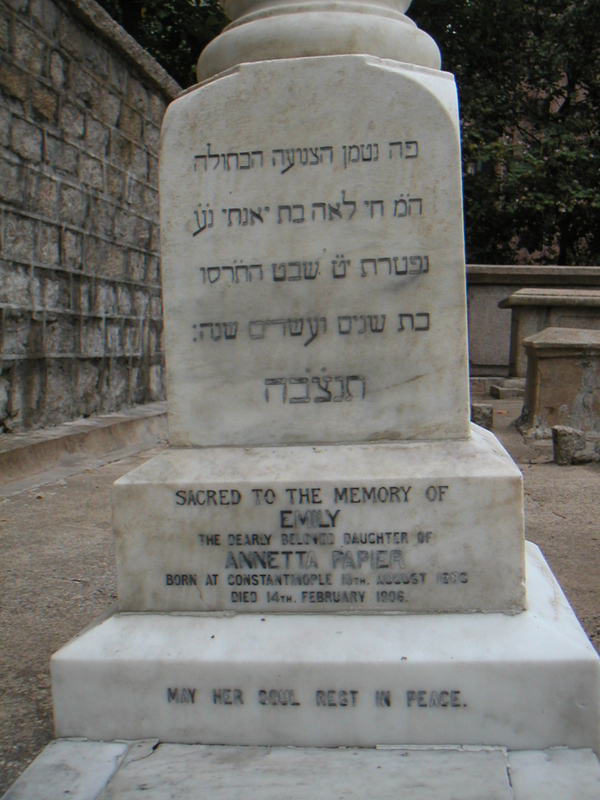 Inscription (Eng) SACRED TO THE MEMORY OF EMILY THE DEARLY BELOVED DAUGHTER OF ANNETTA PAPIER BORN AT CONSTANTINOPLE 19TH. AUGUST 1883 DIED 14TH. FEBRUARY 1906. Historical According to the Carl Smith archives, she died at 16 Morrison Hill Road. In the 1904 edition of “The Directory and Chronicle for China, Japan, etc.”, Annetta Papier is listed as the licensee of the Colonial Hotel, located at 1 Jubilee Street. 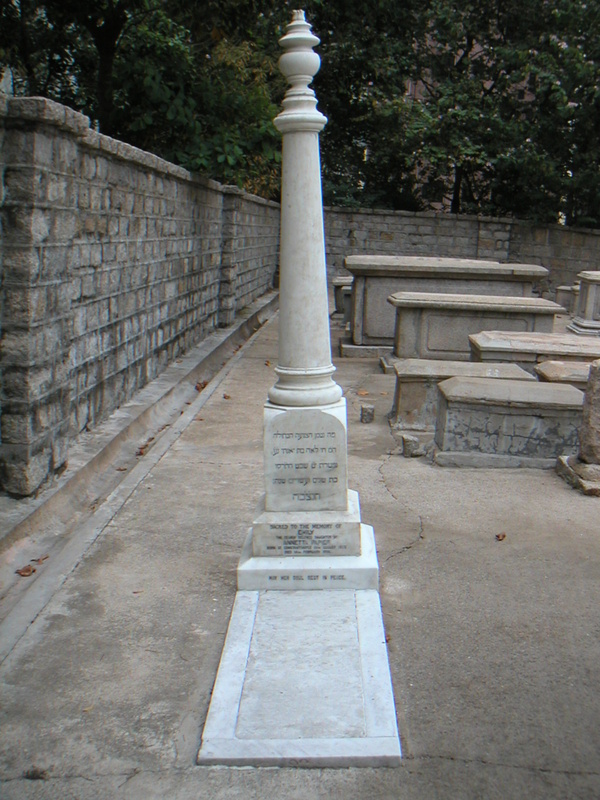 She is buried next to Many Mayer (1D2), who died six weeks after her. Many’s father, Bernard Mayer, held the liquor license for the Colonial Hotel at the time.